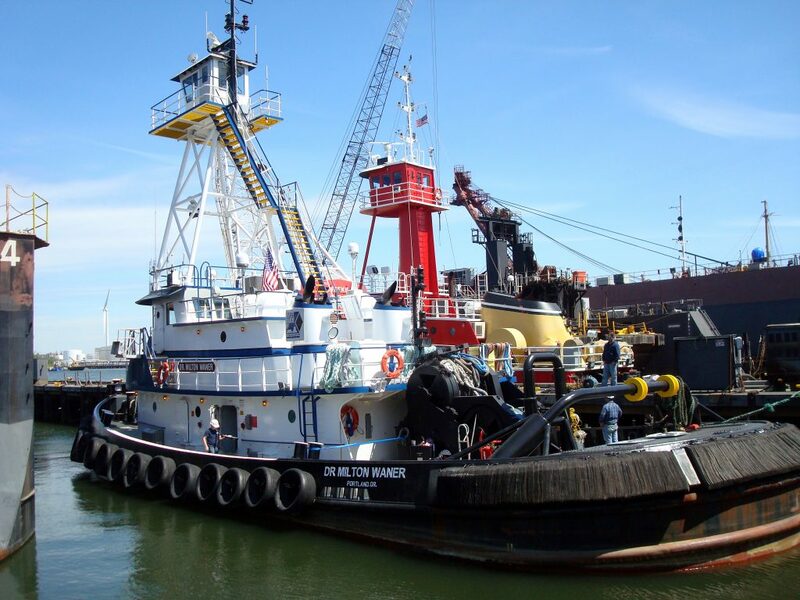 Harley Marine acquired four tugboats for their New York and Olympic Tug & Barge operations and wanted to increase the visibility of three of them when operating in harbors by adding upper pilothouses. Harley asked JMS Naval Architects to provide their naval architecture and engineering support services to examine the stability of the three tugboats with upper pilothouses added before the modifications were actually undertaken. The three tugboats are the DR. MILTON WANER, ANDREA, and CE. DR. MILTON WANER (EX-CAMERON) before upper pilothouse addition. JMS conducted a preliminary inclining test of the WANER and performed preliminary stability analyses on all three tugboats. 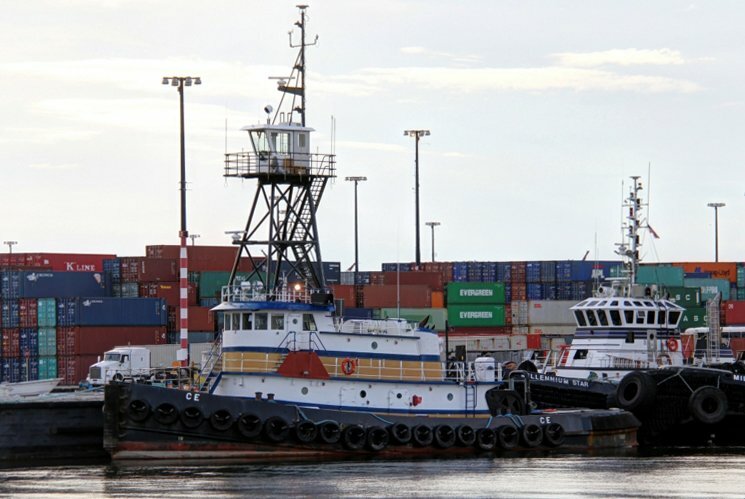 The analyses confirmed that various modifications would need to be made to each of the tugboats in order for them to meet the required stability regulations and allow them to continue operation as load line tugboats. Both the CE and WANER required changes in their tankage arrangements, including reductions in fuel and water capacities, addition of permanent ballast, and enclosing their sterns to create additional buoyancy space. JMS prepared drawings for the new permanent ballast tanks and the stern enclosures for submittal to ABS for approval. Permaballast by Ballast Technologies Inc. (BTI) was chosen as the ballast material and JMS worked closely with BTI’s engineering department to ensure the permanent ballast tanks had appropriate features for efficient installation of the ballast material. Tug CE after upper pilothouse addition. Following completion of the modifications, JMS performed deadweight surveys on the CE and WANER to update their lightship characteristics and prepared final stability analyses and loading instructions for review and approval by ABS. 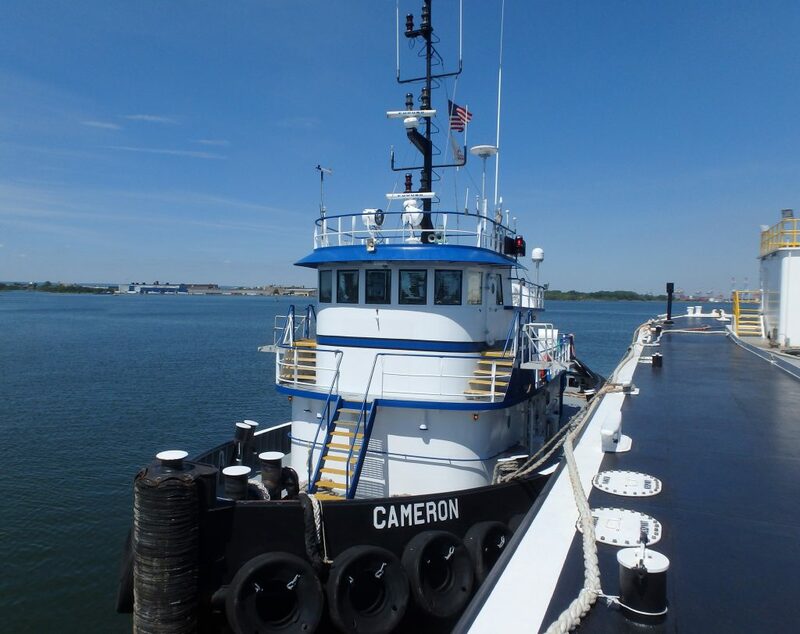 The tugboat ANDREA required changes to her tank arrangement following installation of the upper pilothouse. JMS performed an incline test at the completion of the work, prepared a final stability analysis, and developed loading instructions for review and approval by ABS.